If there’s one reason why Filipinos travel to Japan or South Korea, it’s because of snow. The Philippines has no winter season making it a dream for everyone to experience the cold and freezing weather. With a flight booked to Japan during the first week of December, I decided to fly to Hokkaido. The 2-week Japan itinerary I posted previously featured Tokyo, Hakone, Kyoto, Osaka, Nara, Kobe, and Himeji on late spring. 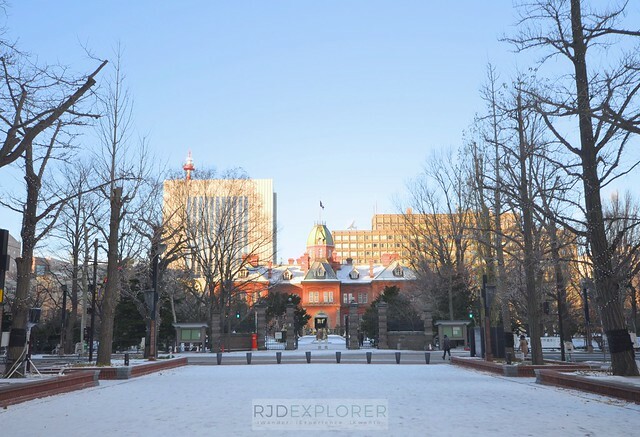 Meanwhile, this 10-day Hokkaido itinerary on winter will cover Sapporo, Asahikawa, Hakodate, and day/short trips to Otaru, Niseko, Biei, and Noboribetsu. 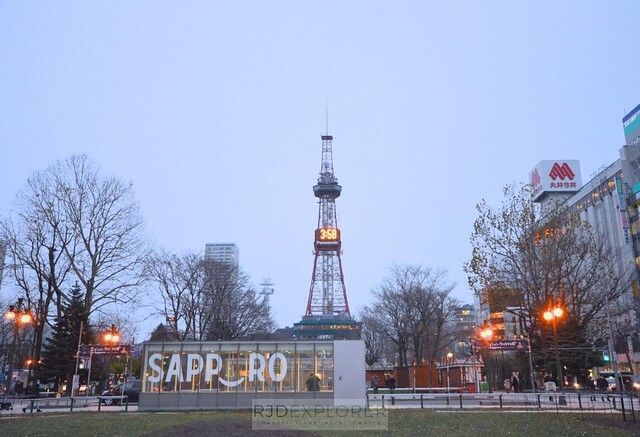 Sapporo TV Tower on one end of Odori Park. DISCLAIMER: Some of the links in this post are affiliate links. If you think it will be more convenient for you to purchase these activities/passes before your trip to Hokkaido, Japan, kindly book them below. The commission I’ll get for every successful booking comes at no extra cost to you. For Japan visa application for first timers, you can check my separate post for requirements and accredited agencies. On my second application, I added a letter of intent for a multiple-entry visa and a form from the agency. Multiple-entry visa holders can stay up to 30 days in Japan, versus the 15-day maximum stay for a single-entry visa. Since you want to experience snow, check weather forecasts to ensure that there will be snowfall on your visit. I arrived November 29 in Sapporo and it already snowed heavily. Snow in Hokkaido might start as early as November with peaks during the month of February. With this, prepare to pack for layers of warm clothing. Looks like Mt Fuji? No, it’s Niseko’s Mt. Yotei. Heat tech products were helpful for me; you can buy them here in the Philippines or get one when you arrive in Japan because it’s cheaper. For layers, I brought a hoodie and a The North Face jacket but they’re not really for the cold weather. Rocking my JPY1990 jacket at Maruyama Park. TRAVEL TIP: Winter clothes are sometimes cheaper in Japan. 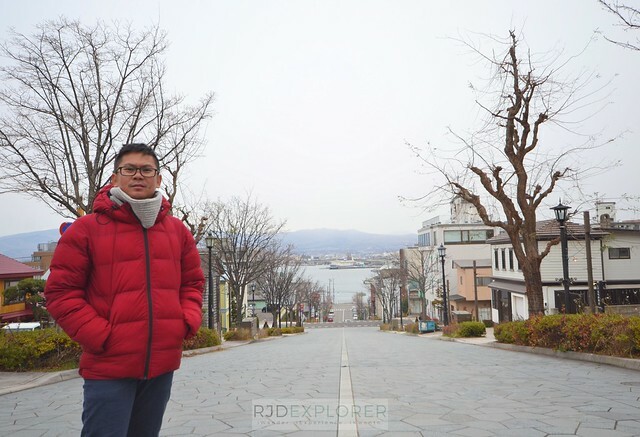 I bought a jacket for JPY1990 (~PHP995) and it already served my outerwear on my entire stay in Hokkaido. I survived -15C temperature with just that as my outerwear, no heat tech, and just my shirt as innerwear. Most of the establishments, trains, and buses are heated so it’s better to have just one outer layer. So if you have multiple layers, imagine the hassle of taking off and putting on all your layers. When I had my first trip to Japan, there are several and cheaper alternatives in terms of transferring between cities. On this Hokkaido itinerary, buses are the cheapest way for inter-city travel. However, traveling from one city to another will have the bus fares pile up. 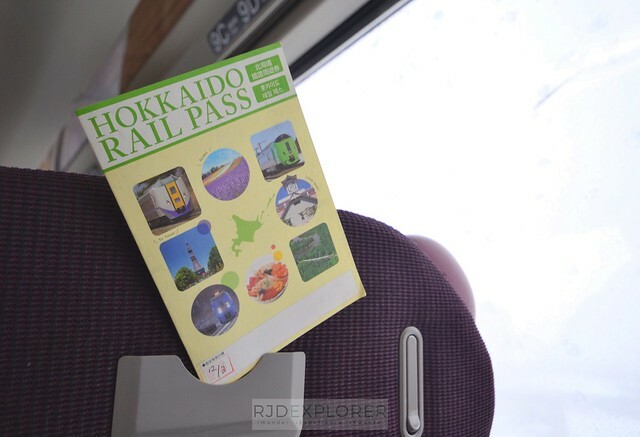 With rigorous forum and blog readings, I decided to avail a JR Hokkaido Rail Pass. This helped me transfer between cities and for my checklist to be accommodated on my 10-day stay in Hokkaido. JR Hokkaido Rail Pass for unlimited train rides on JR Hokkaido lines. If you’ll be availing a JR Pass from Klook, make sure to purchase at least seven days before your departure. Klook will send you the Exchange Voucher within 7 days after your confirmed booking. The one to be delivered is just the Exchange Voucher and you need to use the voucher to claim your JR Hokkaido Rail Pass on selected JR Hokkaido Train Stations. For this itinerary, a 7-day pass is enough to cover the destinations and cities on the itinerary. Klook.comTRAVEL TIP: JR Rail Pass Exchange offices open 8 in the morning. For you to get the earliest train, exchange your voucher a day before your activation. Just confirmed with the Japan Rail staff regarding the date when you want to activate the JR Pass. Ordinary reserved cars are covered by the JR Pass so ask the officer to book a seat for your trips. As of writing, only Philippine Airlines has a direct flight from Manila to Sapporo, Hokkaido. The airline flies directly to New Chitose Airport from Manila three times a week; Wednesday, Friday, and Monday. Former Hokkaido Prefecture Government Building. Flying from international airports on central Japan to Hokkaido is not that cheap. In my case, I booked a flight to Narita from Manila and the return flight Narita to Sapporo cost me around PHP6000, excluding baggage fees. Local airlines like Vanilla Air and Jetstar Japan are strict when it comes to the 7-kg hand-carry. If you think you’re going beyond the limit, better purchase a baggage allowance. For more convenient train and subway rides in Hokkaido, I purchased a Kitaca IC Card from Klook. The card worth JPY2000 is preloaded with JPY1500 and a deposit of JPY500. I also got a Japan sim for my open-line Huawei pocket Wi-Fi. Redemption booth for the IC Card and the sim are located at the international arrival hall of New Chitose Airport. Hokkaido is well connected by JR Hokkaido line operated by the Hokkaido Railway Company. With that, purchasing a JR Hokkaido Rail Pass will surely become handy and cost-saving. Visiting several destinations in Hokkaido that will require inter-city train travels will greatly maximize the JR Hokkaido Rail Pass. Sapporo has three subway lines; Namboku, Tozai, and Toho lines. Minimum fare is JPY200 and you can use the KITACA IC Card when riding the subway. A streetcar also connects downtown Sapporo and other districts. Hakodate districts are connected by a tram system from Hakodate Dock-Mae to Yunokawa Onsen. For Hakodate, a tram connects Yunokawa-onsen and Hakodate Dock Mae. Hakodate Bus system is also reliable and efficient. 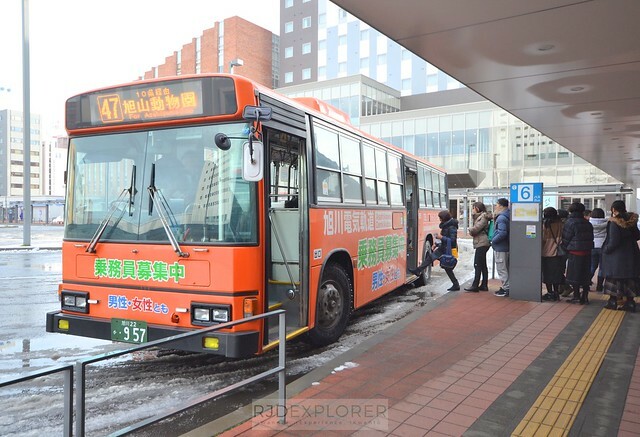 The rest of the destinations listed here are serviced by local buses that sometimes departs less frequent compared to the bus schedules of major cities like Sapporo, Hakodate, and Asahikawa. 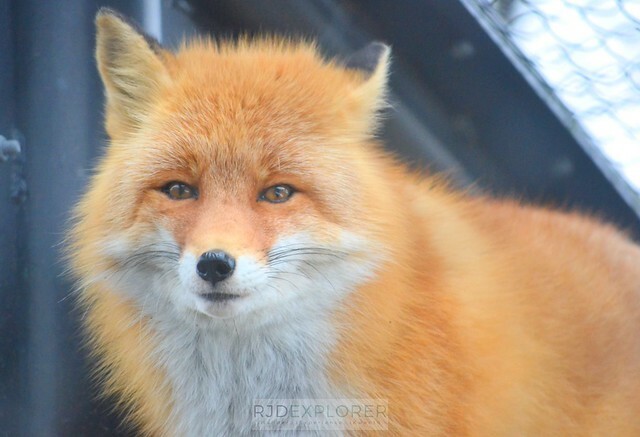 From JR Asahikawa Station, take a bus to Asahiyama Zoo. TRAVEL TIP: Always check the bus schedules every time you arrive at the stations or bus stops. You can use this information to maximize your visit to tourist attractions. You can also ensure that you will catch the last departing bus schedule of the day. After picking up all your essentials from Klook at New Chitose Airport, take the Rapid Airport train to Sapporo Station. Train fare is JPY1070 on a non-reserved car and travel time is 37 minutes. View of Sapporo City from JR Tower. Okurayama Ski Jump Stadium of 1972 Winter Olympics. Most of the Sapporo attractions listed above are accessible via subway or streetcar. 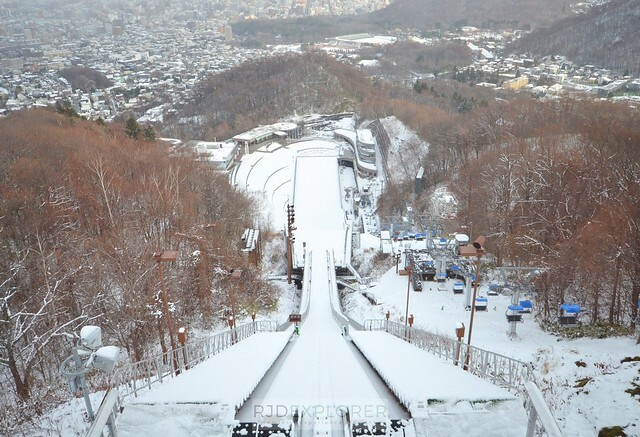 For Okurayama Ski Jump Stadium and Hitsujigaoka Observation Hill, it is recommended having the Sapporo Afternoon Bus Tour from Klook because these destinations are difficult to reach from downtown Sapporo. 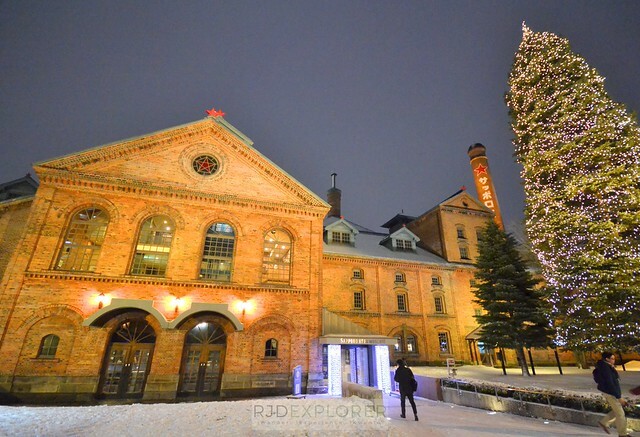 Otaru is a perfect day trip from Sapporo. This port city is just a 45-minute train ride away from JR Sapporo Station for a JPY640 fare, one way. 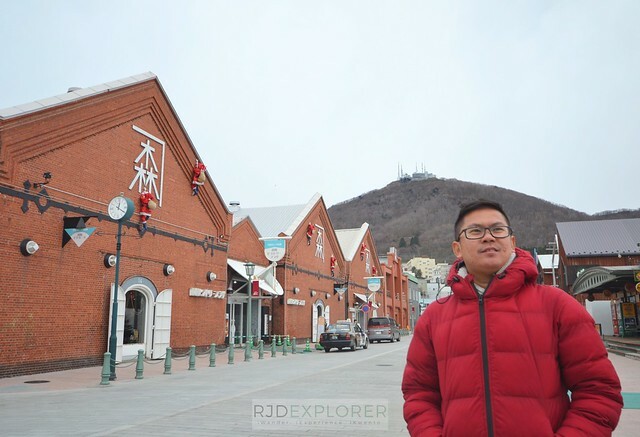 Otaru was one of the locations of the hit Kita Kita movie starring Alessandra De Rossi and Empoy Marquez. Tourists flock the quaint city for the Otaru Canal, where large vessels once unloaded by cargo ships to the warehouses near the canal. Crab soup (JPY500) atSankaku Morning Fish Market. 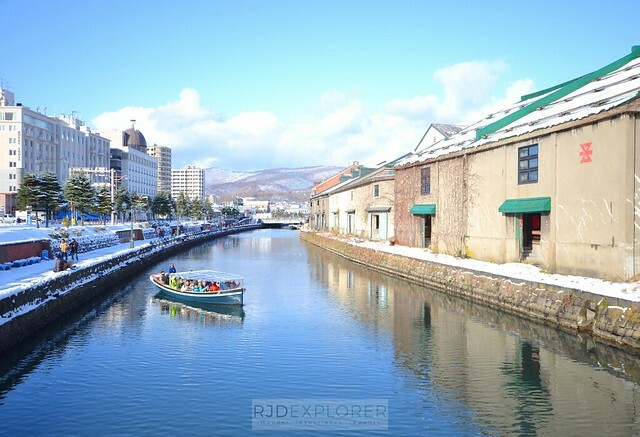 Apart from the canal, recommended places to see in Otaru are Sankaku Morning Fish Market, for fresh seafood such as snow and king crabs; Otaru Old Town for the the Former Temiya Line, The Bank of Japan Otaru Museum, and Tanaka Sake Brewery; and Marchen Square on one end of Sakaimachi Street and where you can find the Otaru Music Box Museum. For souvenir shopping, Sakaimachi Street is perfect as the main road is lined with tons of shophouses. You can find stalls selling different products from cakes, chocolates, crackers, and other souvenirs. Don’t miss the free taste in most stores! Niseko is famous for its powdery snow and also praised as one of the prime ski resorts in Japan. 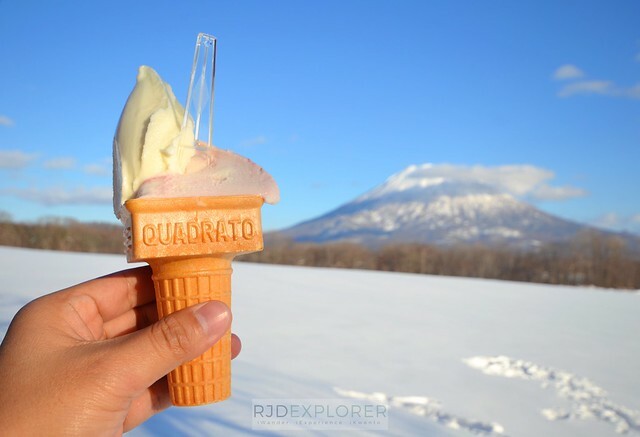 But I visited Niseko because of Milk Kobo for its products and the view of Mount Yotei from its backyard. Start using your 7-day JR Hokkaido Rail Pass on this day because it will already cover the train fare worth JPY2160, per way. Be sure to hop on the earliest train leaving JR Sapporo Station at 7:14 AM. Creamy ice cream of Milk Kobo with Mt Yotei’s unobstructed view from their backyard. 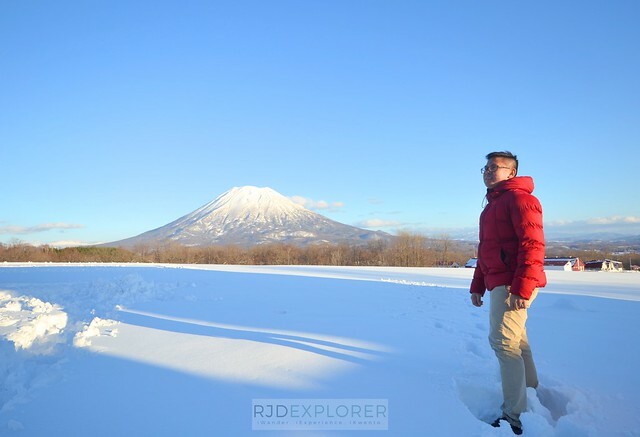 If you have plans for skiing and tubing, then this guide doesn’t suit your goal because I didn’t intend to try these activities when I visited Niseko. Milk Kobo is known for their ice cream on quadrato cones, their cream-filled puffs, and yogurt drinks. Of course, don’t miss the dazing view of Mount Yotei from the dairy factory. Check Niseko Bus schedules and hop on one for visit ski villages such as the Niseko Village, Grand Hirafu, Hanazono, Annapuri, and Moiwa before heading back to a JR train station back to Sapporo. 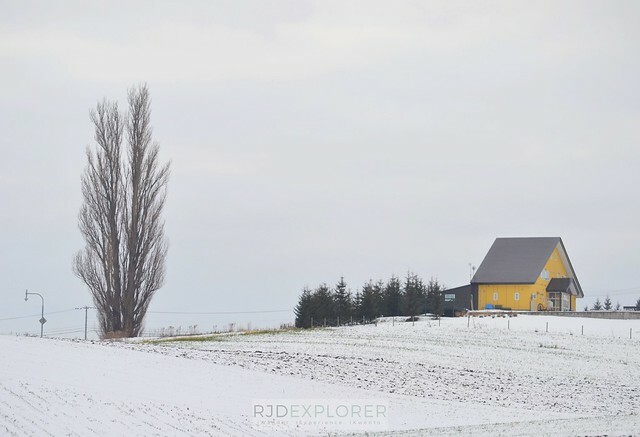 Destinations on the northern part of Hokkaido such as Asahikawa and Furano are must-places to visit during spring because of its flower fields and rolling hills. Winter is not an exception to these cities. Hop on a JR train from Sapporo Station to cover the 85-minute travel to Asahikawa. The city is lesser busy compared to Sapporo or Hakodate making it perfect to walk around the major streets. Asahibashi Bridge from Tokiwa Park. 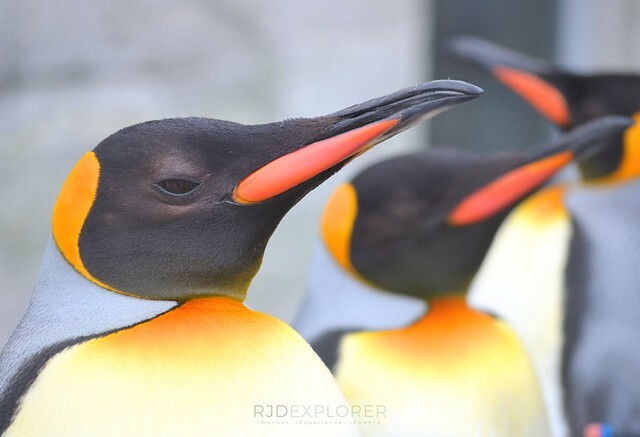 There are tons of places to see in Asahikawa but my recommendation would be Asahiyama Zoo for the penguin walk; Tokiwa Park and Asahibashi Bridge; Otokoyama Sake Brewery; and Asahikawa Ramen Village for several ramen shops offering luscious versions of ramen. If you have more hours to spare, take a train bound to Furano from Asahikawa station. 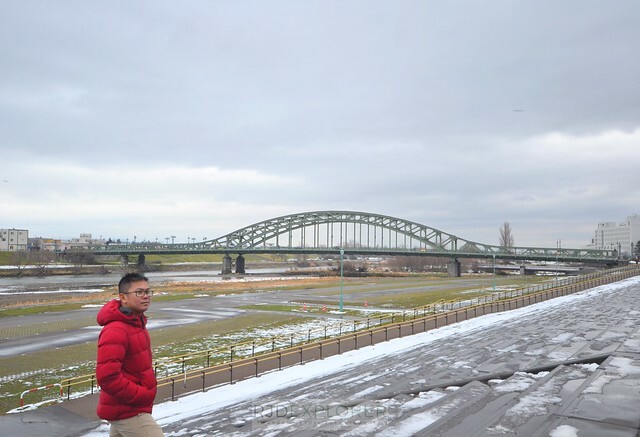 Hop off at Kita-Biei Station and walk the winding road to Tree of Ken and Mary. 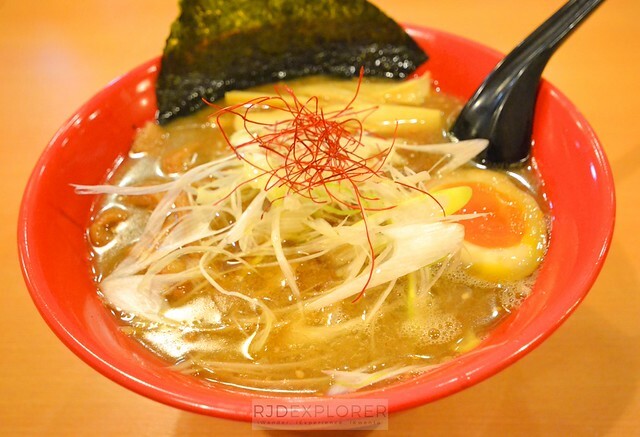 Asahikawa Shoyu Ramen Horumon availed from one of the stores at Asahikawa Ramen Village. Poplar tree of Ken and Mary. From Asahikawa, avail the 5-hr train ride to Hakodate, with a change of train in Sapporo Station. One-way train ride on this route cost JPY13,090 on a reserved seat. A 7 AM departure from Asahikawa will cover the entire morning on the train ride. The route offers stunning mountain ranges and scenic view of Uchiura Bay. 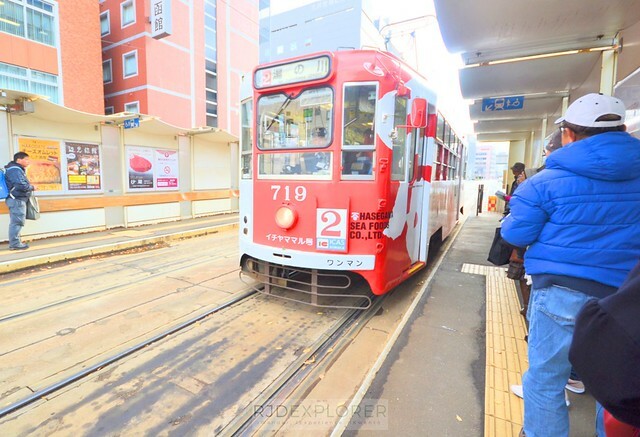 After checking in on your preferred accommodation, take a tram to downtown Hakodate. Marvel at the picturesque Kanemori Red Brick Warehouses housing several souvenir shops, beer halls, and restaurants. Kanemori Red Brick Warehouses in Hakodate. 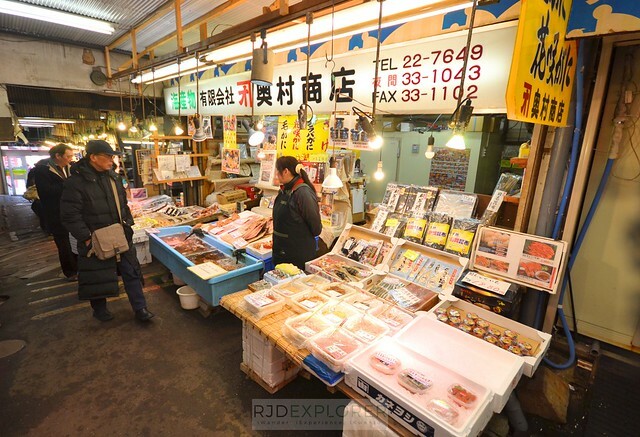 Start your day with a visit to the Hakodate Morning Market to observe the trade of fresh seafood and to look for a bowl of kaisendon for just JPY500. Places of interest include Hakodate Foreign Cemetery, Old Public Hall of Hakodate Ward, and Former British Consulate of Hakodate. 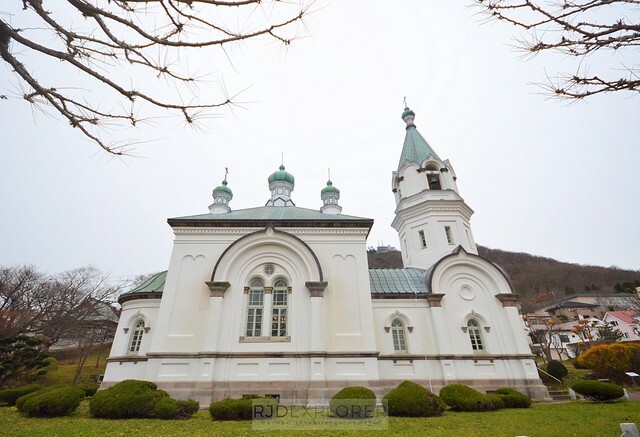 Continue to the Motomachi district for the Hakodate Orthodox Church, Hakodate Catholic Church, and Hakodate’s Saint John’s Church. During your walks, don’t miss to stop by the scenic slopes to take shots with Hakodate Bay on the background. 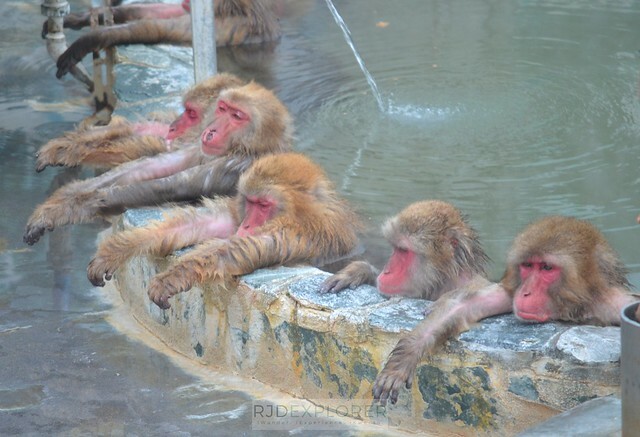 In the afternoon, visit the Hakodate Tropical Botanical Garden to see the monkeys enjoying hot baths. You can continue to Trappistine Monastery before ending the day with a cable car ride to Mt Hakodate. 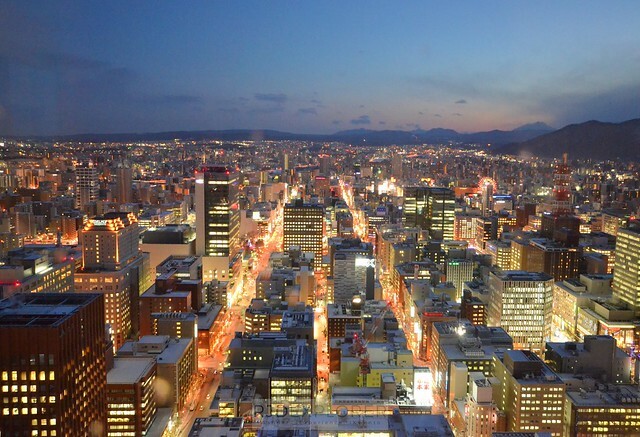 The sight from Mt Hakodate is considered as one of the best night views in Japan. On my stay, the ropeway was closed due to extreme winds. I just decided to scale Goryokaku Tower to witness the cityscape of Hakodate. Monkey hot bath at Hakodate Tropical Botanical Garden. On your last day, stop by Goryokaku, the only star fort in Hokkaido and the main fortress of the brief Republic of Ezo. 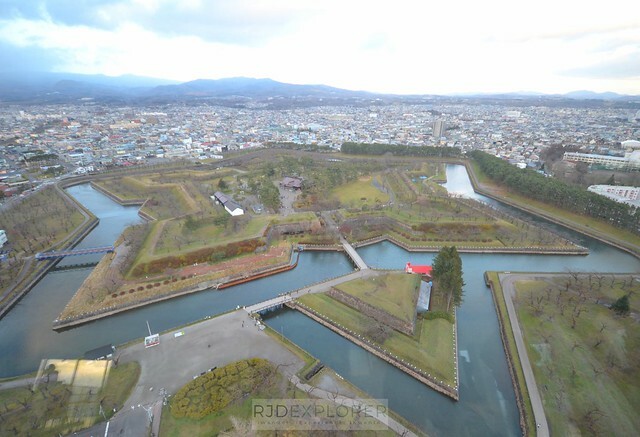 Explore the fort before heading back to Hakodate Station for your train back to Sapporo. Goryokaku Fort from the tower. With all the tiring city walks and inter-city transfers, end the Hokkaido trip with a visit to Noboribetsu. 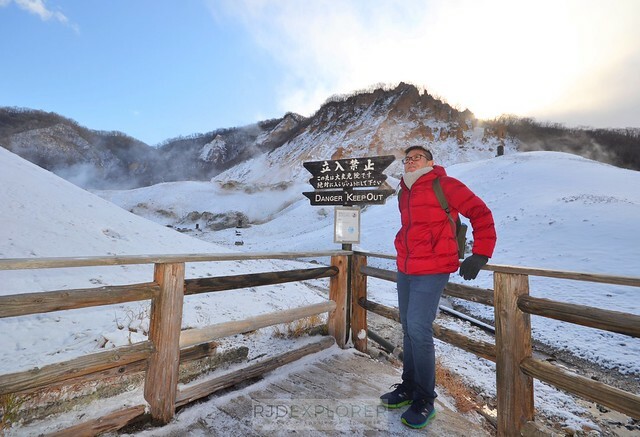 Noboribetsu is an onsen resort known for its natural hot baths and for Jigokudani (Hell Valley) volcanic crater. There are scenic paths in Jigokudani where you can get up-close with the sulfur vents. 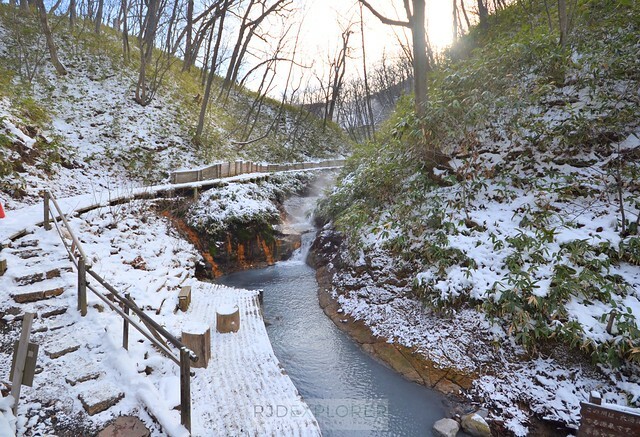 If the paths are cleared, you can continue to Oyunuma Pond and head to the Oyunuma River Natural Foot Bath. There are dozens of hotels offering onsen baths for walk-in guests. I had a relaxing onsen experience for a JPY1000 admission fee. If it’s your first time to experience onsen, take note that these are public and naked baths. It was a bit awkward at first but you can enjoy the comforts of the hot pools. Instructions are on English and make sure to always observe onsen etiquette when entering the bathing areas. Oyunuma River Natural Foot Bath. 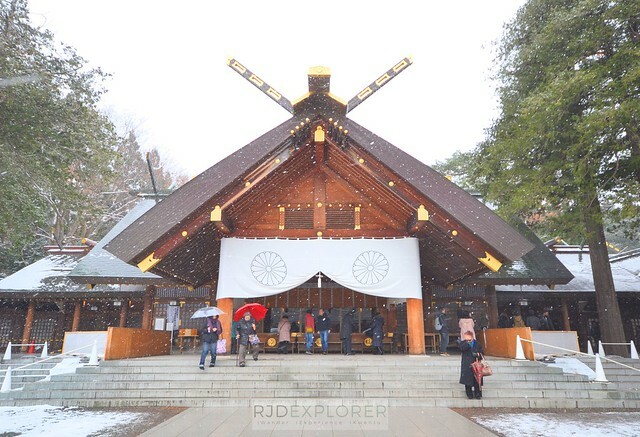 If you have more time and yen to spare, visit Noboribetsu Date Jidaimura. The theme park will let you experience the Edo Period for its traditional games, activities, and street and theater ninja performances. Since ninjas are a thing during the Edo Period, you can try and learn to throw ninja stars and arrows. Rates for hostels in Sapporo is similar to Tokyo. You can get a bed in an 8-bed dorm for USD18 at Social Hostel 365, the cheapest I found. For other hostel option, The Stay Sapporo Hostel is an alternative though more expensive for USD28 per night. 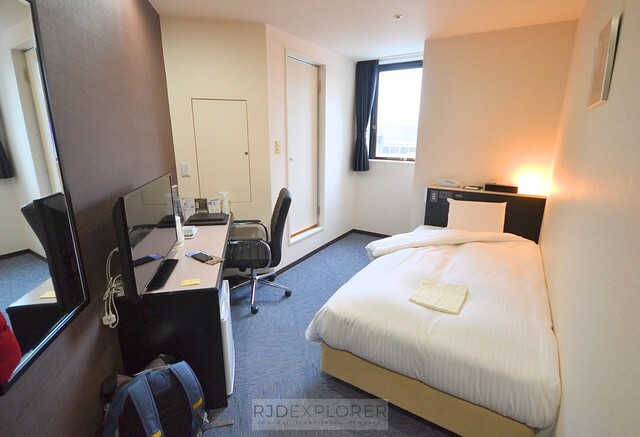 If you’re not into shared rooms, Ibis Styles Sapporo is a great option. Their superior rooms are USD135 good for 2 adults, with breakfast. In Asahikawa, I found a newly-opened budget hotel about a 10-minute walk from JR Asahikawa Station. RHotels Inn Hokkaido Asahikawa offers single rooms with own toilet and bath for USD28 per night, breakfast not included. For Hakodate, the cheapest I found is Tune Hakodate Hostel and MusicBal with dorm beds at USD18 per night. The only disadvantage for the hostel is its location which is a bit far from Hakodate center. Just get a bus and tram pass for you to save tons of fare to and fro the city center. Like any place in Japan, ramen is everywhere. While most ramen in central Japan are tonkotsu or pork bone broth, Hokkaido offers other versions. 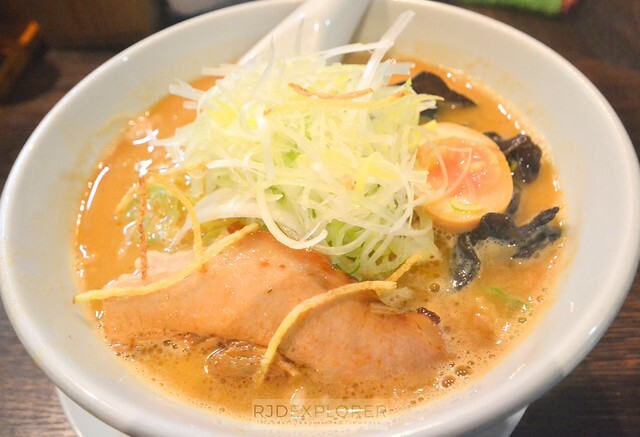 Sapporo is known for the miso-based (fermented soybean) ramen, Asahikawa for shoyu-based (soy sauce) broth, and Hakodate for its shio-based (salt) ramen. Recommended ramen places are Menya Yukikaze Susukino Honten (Sapporo), Ichikura Ramen (Asahikawa), and Hakodate Ramen Kamome (Hakodate). Miso ramen bowl at Yukikaze Susukino Honten. 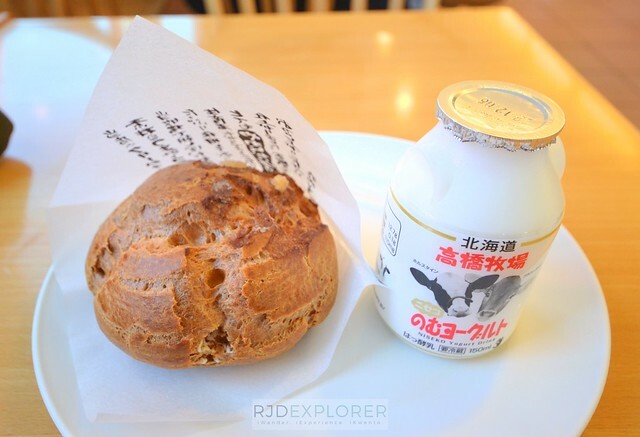 Milk Kobo’s cream puff and yogurt. 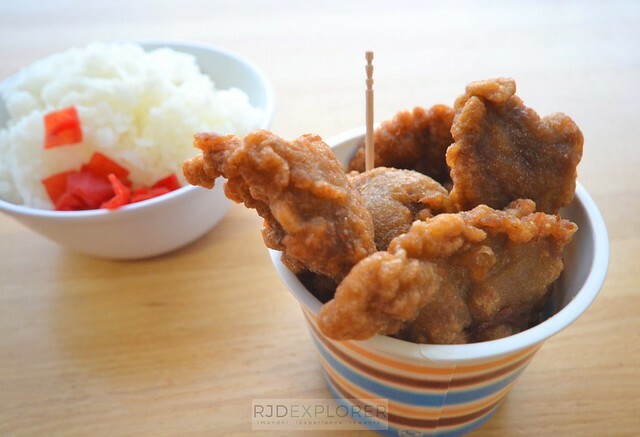 As much as possible, I tried to look for cheaper options when during lunch or dinner time. 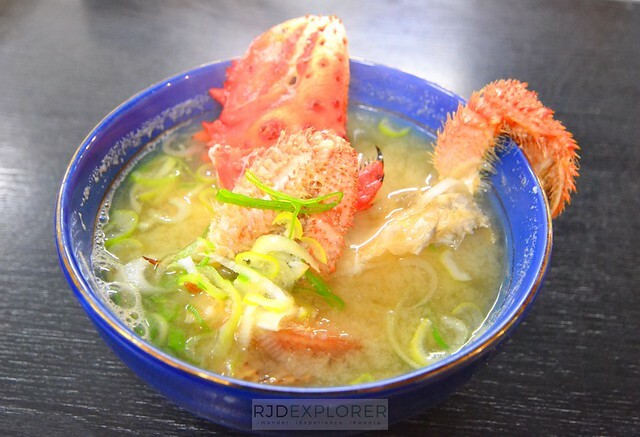 Some of the stuff I’ve tried are the snow crab soup at Sankaku Morning Fish Market in Otaru, fish cakes at Kamaei Factory in Otaru, kaisendon in Hakodate Morning Market, and deep-fried Genghis Khan (grilled mutton). For desserts, everything that is being sold at Milk Kobo is good! When in Hakodate don’t ever skip the local food chain, Lucky Perriot, for burgers and fries served in a mug. 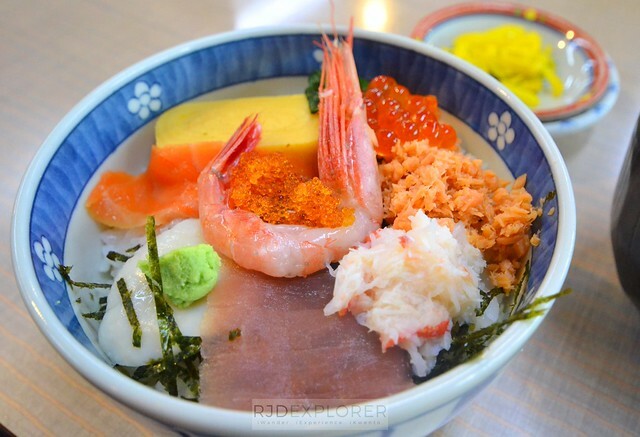 Seafood bowl for JPY500 at Hakodate Morning Market. 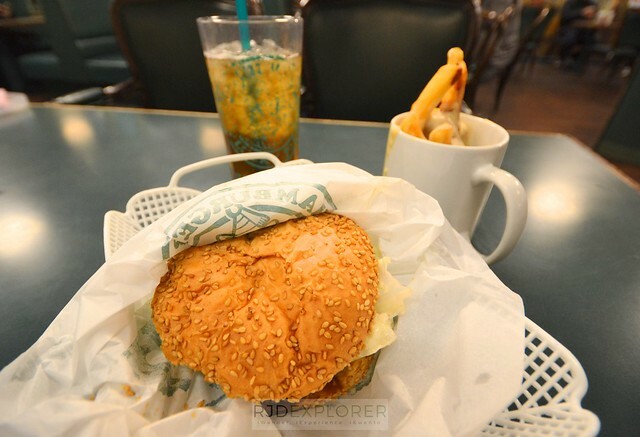 Lucky Perriot’s chicken burger and thick-cut fries served in mug. JPY14600  Average of JPY730 per meal, I usually eat bread for breakfast. TRAVEL TIP: For flights, you can book for a Narita – Chitose roundtrip for PHP6000, excluding baggage allowance. This is on top of the Manila to Narita you grabbed from a seat sale. Another option is to book a non-stop flight from Manila to New Chitose Airport via Philippine Airlines for USD600 (roundtrip base fare) on Economy cabin class. Hi. Question, since you only purchased the JR Hokkaido Pass, I’m just confirming that you only used it on your Day 1-2 trip, yes? I’m planning to purchase the whole JR Pass since I will also be travelling from Sapporo to Tokyo, would you know if that is included as well? If you’re going to have the Sapporo to Tokyo train, you need to avail the JR National Pass. JR Hokkaido Pass doesn’t cover the Shinkansen from Hakodate. I used my JR Hokkaido Pass from Day 4-10.